Peter Singer is a Utilitarian, a philosopher who believes we should strive in our actions to maximize the amount of happiness in the world. Singer is said to measure morality by the numbers—one of his most infamous examples being that, sometimes, the way to maximize happiness is to allow parents of infants born with severe, life-threatening disabilities the option of euthanization. His comparison between the choices we make about fetuses inside the womb and the choices we ought to be able to make with certain newborn infants produced protests, physical threats, and talk of armed security to guard his Princeton office. He’s also been attacked from inside the ivory tower. Some philosophers don’t think much of ideas that are accessible enough to have practical import. Yet despite some efforts to dismiss Singer’s work, his primacy in university life is undeniable. His Practical Ethics and Animal Liberation are used extensively in ethics classes, and his ideas appear regularly in seminars and conferences. This is because, with a zeal that suggests he’s computing the moral significance of every passing minute, Singer tackles the hard questions of the day; from research on cloned embryos, to the use of animals in food and research, to famine in India and AIDS in Africa. Invariably, his conclusions threaten our moral aplomb by relentlessly demonstrating the ways in which it’s not nearly enough that we empty our pockets to the homeless we pass on the streets, that we don’t shop at Wal-Mart, that we’re on the wait list for a Toyota Prius, or even that we recycle our soy-milk cartons. He argues that we must do much, much more, donating enough of our income to poor, developing nations so that wealth is more evenly distributed globally, even if it involves a drastic reduction in our standard of living. His critics argue that things are not so simple, that his arguments don’t take into account special relationships and going to the opera. 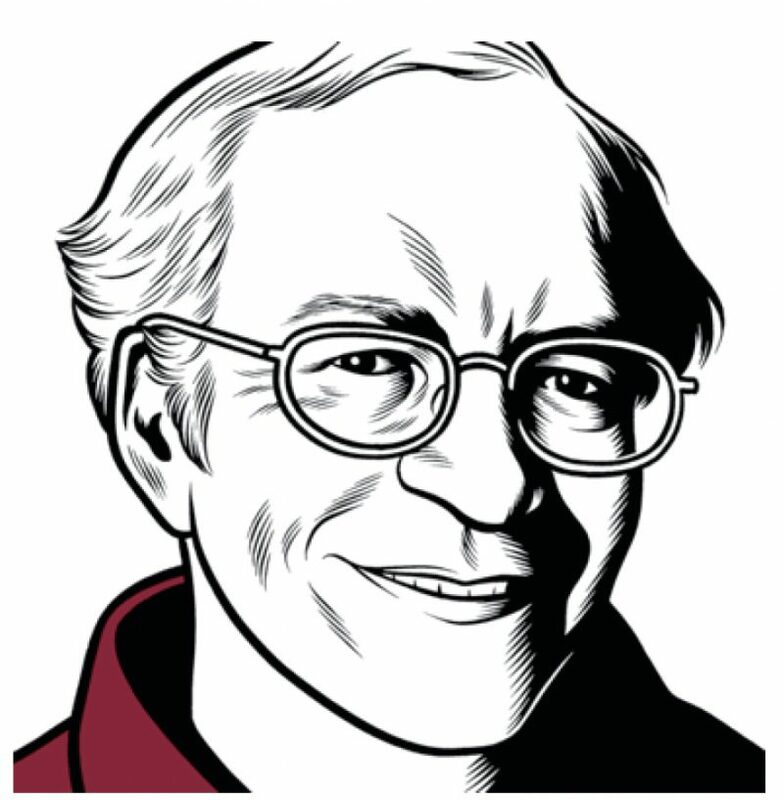 Here, Peter Singer responds to some of these criticisms, as well as to questions on his views about the duties of U.S. citizens, the state of the animal rights movement, and his most recent book, The Moral of the Story: An Anthology of Ethics Through Literature, coedited with his novelist wife, Renata Singer. THE BELIEVER: One of your positions in One World echoes the position you took in “Famine, Affluence, and Morality”: that citizens of developed nations are morally obligated to give part of their income away in the form of aid.You state that a wealthy couple spends more money going to the theater than many families make in a year. Should we cut out activities like going to the theater from our lives entirely? What about the long-term effects of supporting the arts? PETER SINGER: If every citizen of developed nations (and affluent people living in developing nations) were to give just 1 percent of their income to organizations fighting global poverty, we could eliminate the worst poverty and still have enough to support the arts. But while people are dying because they don’t have safe drinking water, or can’t get even the most minimal health care, or send their children to school, I think support for the arts has to come second. BLVR: You end up proposing that we give 1 percent of our income away, and by any standards that seems reasonable to many people. But this is something you suggest because of the greater likelihood of people actually doing it. If, instead, we accepted your ideal position that we give away money to the point that we’re just as well off as those to whom we give aid, what are the long-term effects? PS: Obviously, it would depend on how many people actually did this. I’m only advocating so demanding a standard on the assumption that there are people who are in desperate poverty to whom our assistance can make the difference between life and death. If many citizens of wealthy nations were to give even a much more modest proportion of their income, we could eliminate widespread poverty, and no one would be obligated to give more. The long-term effects of eliminating widespread poverty would be beneficial for global security and for the global economy. BLVR: I’m an economist, so of course I’m going to propose the idea that all this consumer spending in wealthy nations causes our economies to grow, and without such extensive growth, we simply wouldn’t have the level of disposable income that we have now, and so our potential to give aid to others would decrease. Given that you’re a Utilitarian, are you maybe discounting the needs of future generations too much? PS: No, I’m not. As I’ve said, we could solve the worst of the problems if everyone gave 1 percent of their income. But since most people are not doing that, there is a need for those of us who do try to act ethically to do much more. But that doesn’t mean that I’m suggesting that everyone should give away a very large portion of their income. It’s either everyone giving a little or a few giving a lot. In neither case will it destroy our economies. And as the rest of the world becomes more prosperous, they will want to buy from us, and the more modest consumerism of a larger proportion of the world’s population will replace the excessive consumption of a minority. BLVR: Your suggestions on aid could be criticized for being too caught up in the present moment, ignoring the need for institutionalizing reforms. PS: That’s a misunderstanding of my views. Although my original “Famine, Affluence and Morality” article was triggered by a particular crisis, apart from such occasional emergency situations, I’ve not advocated “just giving money away to deal with current crises.” I support organizations like Oxfam that are focused on projects that make a long-term difference. BLVR: You argue that ethics demands that we, as individuals, also be impartial in our treatment of others, and that this implies not favoring our fellow citizens over people in other nations. But you also argue that there are limits on our ability to be impartial. For instance, you discuss how it wouldn’t make sense for parents not to favor their own children—that the cost of parents being impartial with respect to their children would be too high. But you make the point that there are two levels of ethics—the philosophical/ reflective and the everyday. When you talk about the costs of impartial parents, you’re obviously engaging in ethics on the philosophical/reflective level. And it’s when you do these kinds of analyses, when you break down, say, the intrinsic quality of parental love and give it an ethical justification, that critics charge your brand of ethics as being too demanding and alienating. But isn’t this what philosophers are supposed to do? Otherwise, what sets the critical perspective apart from the everyday? I feel as if your critics just want to hear you say something about the everyday—that parents should favor their children “because they love and care about them,” period. PS: That’s very well put. These critics don’t want philosophy, in the sense of ethical analysis and argument that leads us to think more critically about the way we live. They just want to be made to feel good about the way they’re living. BLVR: But do you think you ever need to say something at the everyday level to soften the philosophical point, to make it more accessible, more human? PS: As you noted before, I’ve talked about accepting much lower levels of giving than those that I really think are ideal. That is the kind of softening you are referring to. BLVR: I guess you could say that the kind of softening I’m referring to also sort of comes through in The Moral of the Story, where your point is that fiction can teach us a lot about values and even about the nature of ethics, whether by making moral dilemmas resonate with the reader, or by exploring particular ethical views, or both. But even here, how would you respond to critics who say you can’t apply rational analysis to all of the characters, the emotions, and the very experiences of reading great literature—that they’re too unified to be broken down into discrete lessons, or that they’re too fluid and affecting to analyze? PS: But that’s just why it is so valuable to look at characters and situations presented in literature from an ethical perspective—life is also difficult to break down into discrete lessons and analyze. So literature serves as a useful corrective to the excessively abstract modes of reasoning that philosophers doing ethics—and I include myself here—occasionally overemphasize. We need the abstract arguments and purely hypothetical situations too, of course, but we shouldn’t lose sight of what life is really like. Ethics has to have something to say about issues of character, emotion, and so on. BLVR: But some of the most enduring characters aren’t singly good—they’re also dishonest, cruel, and even murderous—isn’t it Hamlet’s moral complexity that ultimately makes him so alluring? What happens when we like or even admire these characters, and not just certain of their traits? Is that all right? PS: Yes, we can have mixed emotions and find that we like people even when we think that they have terrible moral flaws. Look at America’s relationship with its slave-owning founding fathers. BLVR: You coedited The Moral of the Story with your wife Renata, who is a novelist. Did you have disagreements over the selections of writing? Or do a novelist and a philosopher share the same understanding and appreciation of fiction? PS: We had some disagreements. Renata vetoed some of my suggestions because, despite their ethical interest, she found them to be poorly written and simply not good reading. And I insisted that everything we include had to raise something ethically significant, something worth discussing in an ethics class. Fortunately, Renata and I have more than three decades of experience in resolving disagreements, so we managed to edit the book together and still stay married. BLVR: That’s a comment on the everyday level— maybe your critics will be happy. I want to return to the abstract-philosophical level. Many people, like Bernard Williams, dismiss Utilitarianism as being more of an economic calculus than a moral theory, arguing that it focuses too much on calculating consequences rather than on taking certain actions because they’re right. What do you think of that criticism? PS: Do they think a moral theory should ignore the consequences of our actions? How would that be morally better? BLVR: Has your moral philosophy evolved over time and in response to criticisms of Utilitarianism, or has it remained relatively the same? PS: In its broad outlines, it’s remained the same. BLVR:What are the clearest implications of your moral view? PS:That we should include nonhuman animals within the moral sphere, and cease to make their lives miserable in order to satisfy such trivial interests of our own as the desire to eat meat, when we can nourish ourselves very well without doing so; and that we should not spend money on luxuries when the money we spend could help others to escape the tragedy of desperate poverty. BLVR: Do you feel that you yourself live up to these? PS: I don’t eat animals, but I don’t give away as much money as I should. BLVR: May I ask how much of your own income you give away? PS:At the moment, it’s about 20 percent of what I earn. BLVR: That’s a lot more than others do. But even if you didn’t give 20 percent away, is it really important that you do live up to the implications of your view? I mean, we learn from our parents, for instance, that it’s good to save money, but they themselves don’t always save. Isn’t it still good advice, even if they fail to heed it? Do you think ethics is different from prudence in the sense that an ethical view is only valid if the proponent abides by it? PS: No.What I myself do isn’t really relevant to whether my views about what people ought to do are sound. BLVR: You stress that a government might have a greater responsibility towards its nationals than to foreigners. Do you have a principled reason for determining how much concern the policymakers of a particular state ought to give to other citizens? PS: In principle, at the most fundamental level of our moral thinking, we should all give equal weight to the interests of everyone. But since we don’t have any alternative to states as yet, governments must be regarded as having primary responsibilities toward their own citizens. Nevertheless, this should not go so far as to give preference to the trivial wants of their own citizens (for example, to drive heavy, gas-guzzling vehicles) over the basic needs of foreigners (for example, their need that the climate not be altered unpredictably in ways that might leave them unable to grow enough food). BLVR: Isn’t it naïve to think that governments ought to be less partial to their citizens, since it’s only their own citizens that vote for them? What’s the incentive for leaders to become less partial? PS: It will take an educated public that cares about the impact of their actions on people in other countries. BLVR: Do you think the world’s leaders are moving toward or away from your position in One World? And which nations do you think are the furthest from your position? PS: Undoubtedly the contempt for the United Nations Security Council shown by the United States, the United Kingdom,Australia, and a few other countries when they attacked Iraq in March 2003 was a major setback. But it is possible that the unfolding disaster of the U.S. occupation of Iraq will cause the pendulum to swing back toward a more multilateral approach that includes greater support for the United Nations. BLVR: It does seem as if there are some instances of U.S. aid that are examples of absolute impartiality. Some might say that the assistance we’re giving to Africa to combat AIDS is an example. Do you agree with this? PS: So far, the aid that has actually flowed from the U.S. to combat AIDS in Africa has not matched the rhetoric. I hope that will soon change. If it does, I agree that it will be a (rare) example of American aid going toward a situation of great need rather than one that advances America’s interests. BLVR: One might charge you with generalizing from the environmental examples you discuss in the book to your conclusion that the U.S. is too partial to its own citizens, but that if you look at other areas of assistance, the U.S. isn’t so bad. PS: I’m not simply generalizing from environmental examples.You only have to go to the OECD website and compare U.S. aid with that given by other countries, like Denmark, the Netherlands, or Sweden, to see that the U.S. gives far less, as a percentage of its gross national income, and that a far smaller proportion of what the U.S. does give goes to the least developed countries. Not one of the least developed countries is even in the top ten recipients of U.S. aid. BLVR: It seems that U.S. citizens consistently overestimate how much their government gives to other citizens.Why do you think that is? PS: That’s correct, they do—surveys have repeatedly shown that they think the government gives about twenty times as much in foreign aid as it really gives. It seems that Americans are very poorly informed about world affairs, and their political leaders are too timid to tell them unpleasant truths. BLVR: Are there any cases, in your opinion, where leaders should act solely in the interest of their own citizens? PS: No—not unless it is a situation that does not affect the interests of anyone else. BLVR: In The President of Good and Evil, you argue that President Bush is a leader who contradicts his own values. Thomas Friedman of the New York Times characterized Bush as someone with moral vision, but without moral authority.What’s the difference? PS: If your “moral vision” is incoherent or inconsistent, and you don’t even make a serious effort to live up to it, you will lack moral authority. That’s Bush. BLVR: Do you mean that Bush’s private life is inconsistent with his public life, or that his policies are at odds with one another? PS: I wasn’t referring to his private life. My argument is with his policies. For example, he claims to be promoting a culture of life, and for that reason he won’t allow federal funds to be used in ways that might encourage the destruction of a few embryos to create stem cells; but he seems willing to accept the deaths of thousands of Afghan and Iraqi civilians as the result of the wars he’s launched. Similarly, he talks about creating “a single nation of justice and opportunity” and then supports huge tax cuts that go, overwhelmingly, to the wealthy. I don’t believe there is a consistent way of reconciling these policies. BLVR: You recently published In Defense of Animals: The Second Wave about the new challenges for the animal liberation movement. I’ve heard you say that when Animal Liberation came out, you hoped it was going to drastically alter our attitudes and behavior toward animals, but so many people, either actively (for instance, by eating animals) or passively (such as by allowing the continuation of animal experimentation), continue to contribute to the suffering of animals. What’s your assessment of the animal liberation (AL) movement? Do you think it’s failed to live up to your hopes? PS: It’s not so much the AL movement that has failed to live up to my hopes, but the world as a whole and, particularly, educated liberals in the industrialized nations. I think it is just blindingly obvious that factory farming is an atrocity, and no one should support it. Yet most people still buy its products. But maybe my hopes were naïve. Radical changes are harder to achieve than I had thought.We’re making progress, just much more slowly than I had hoped we would. BLVR: What role do you think new genetic technologies can play in liberating animals? There are a lot of scenarios involving biotech that promise to help animals in the future, but these tend to involve an immediate increase in animal experimentation. Take the following scenario: we’ll someday be able to produce meat in a lab. Eventually, the meat will be produced at such a low cost that it will be more worthwhile to supply this bio-meat than meat farmed from live animals. At first, people will be repulsed by the meat, thinking of it as too engineered and artificial, but after a few generations, people will become accustomed to the idea, and eventually will prefer the synthetic meat because it will be safer and cleaner. It would take several more rounds of experimentation, especially experimentation on animals, though, to acquire the technology to produce lab meat. Would this be worth it? PS:We can already produce “meat” in a lab, growing it in culture. I’ve seen this done as a form of art. But it’s prohibitively expensive, so it’s going to be a long time before we can produce enough “victimless meat” to satisfy the appetites of people who want to eat meat. I don’t see why this will require experimentation on animals. But if it did require a limited amount of experimentation on animals, I would consider that a price worth paying for the benefits of saving billions of animals from having to endure modern factory farms. BLVR: Because of the dynamics of international power and politics, do you think it more effective to target strictly domestic policies that involve animals, rather than policies that will have effects on world trade, or do you think that, in general, animals have a better chance in the international arena because of the possibility of certain nations applying pressure on others to implement more animal-friendly policies? affect a huge number of animals—ten billion farmed animals a year, for a start. BLVR: I had thought that the Great Ape Project—the attempt to bring greater legal status to certain other primates—would be the most successful undertaking of the AL movement. That’s obviously another area where there’s a large international component. How has that been taking shape, and what are your concerns there? PS:Again, it’s not moving forward as fast as I would like. But some progress has been made. Experiments on great apes—except for their own benefit—have been made illegal in New Zealand, and excluded by regulation in the United Kingdom, Sweden, and the Netherlands. The greatest concern is the situation with free-living apes in their native lands, in Africa and Indonesia, because logging, forest burnings, and hunting have caused a drastic decline in their numbers. It’s a very difficult problem, but it is one we really must solve. Sahar Akhtar is an Assistant Professor of philosophy at the University of Virginia, where she teaches courses in political philosophy, bioethics, and ethics and economics. Her main research interests are in political philosophy, especially on the topics of migration, membership, and identity. Some of her articles on these topics have appeared in: Australasian Journal of Philosophy; Public Affairs Quarterly; Analysis; Journal of Applied Philosophy; and, Politics, Philosophy and Economics.